Ariel. The Little Mermaid. HD Wallpaper and background images in the Ariel club tagged: photo the little mermaid ariel disney 1989 animated film. 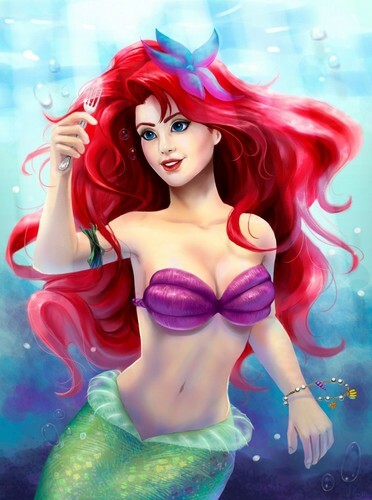 This Ariel fan art might contain توجہ, اپیل, hotness آپ, جوش, انگیا, چولی, bandeau, براسیری, برا, بانڈیو, میں lingerie, مباشرت ملبوسات, and lingerie.